The history of Okinawa has been strongly affected by overseas influences unlike anywhere else in Japan. Prehistoric times in Okinawa lasted up until about the 10th century when hunting and gathering was the main form of subsistence. In the 12th to 15th centuries, the original Ryukyu Kingdom developed due to trade with Asian countries and built original cultures. In the 19th century, Ryukyu followed Japan on the path to becoming a modern country and became part of the nation building of Japan as Okinawa Prefecture. 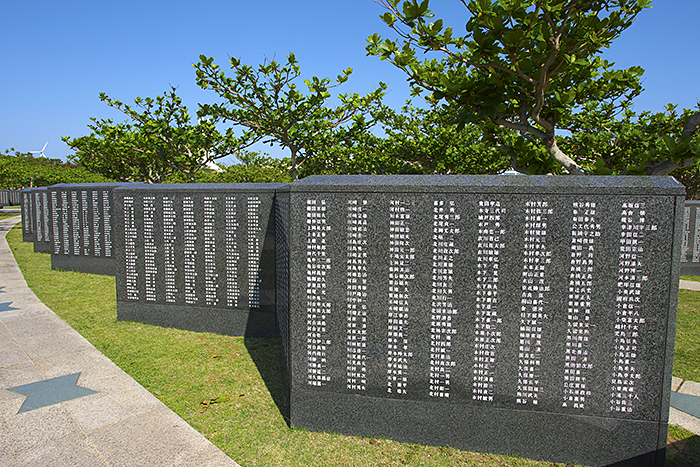 When the Japanese surrendered in 1945, Okinawa was placed under American Army rule over 27years. 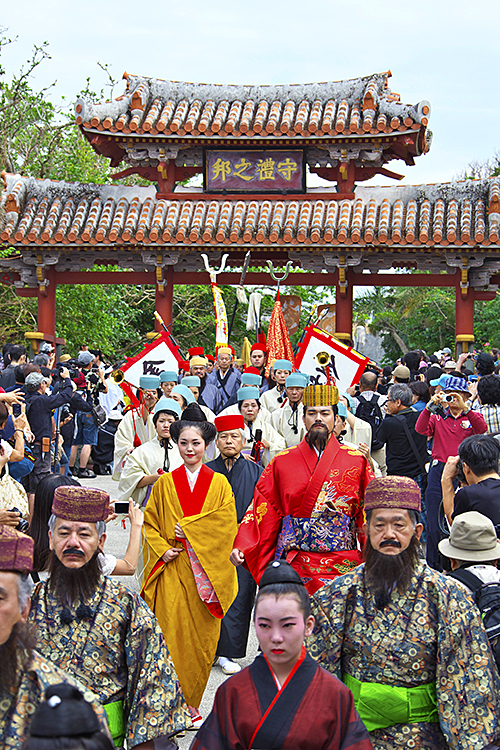 Okinawa’s unique culture was formed by the dynamic mix of characteristics from various countries through trade with China, Japan, Korea and other Southeast Asian countries in the Ryukyu era. 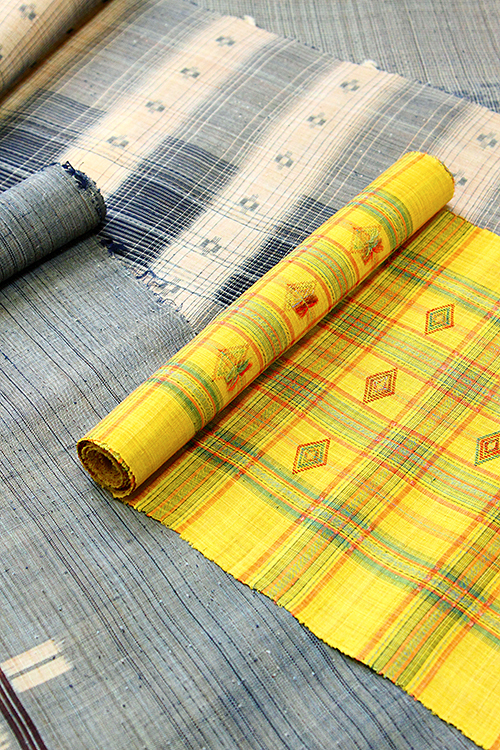 Gorgeous “Ryukyu Bingata” finished with various patterns and colors are representative of Okinawa’s dyed products. The woven goods of each area demonstrate originality and ingenuity, and typical examples are the refined “Shuri Ori” and cool looking “Bashofu” weaving. 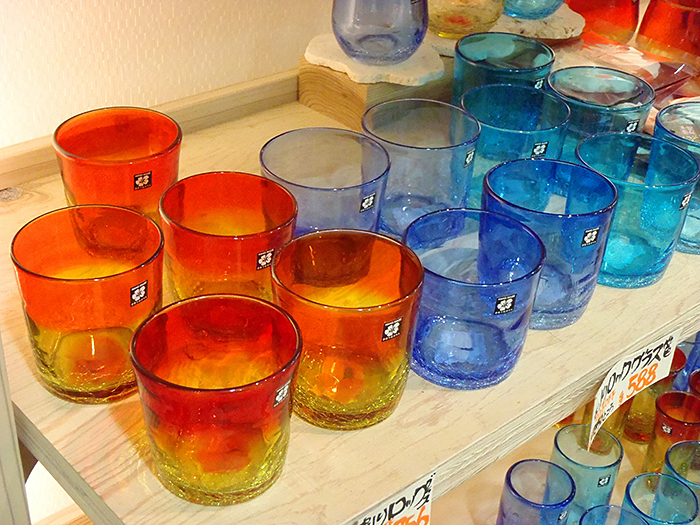 “Ryukyu Glass” created from discarded glass bottles following World War II has a simple allure and warm aura. ”Ryukyu dance” is performed in elegant costumes to the relaxing sounds of the “Sanshin” (three-stringed guitar-like instrument) which is an integral part of Okinawa’s performing arts. 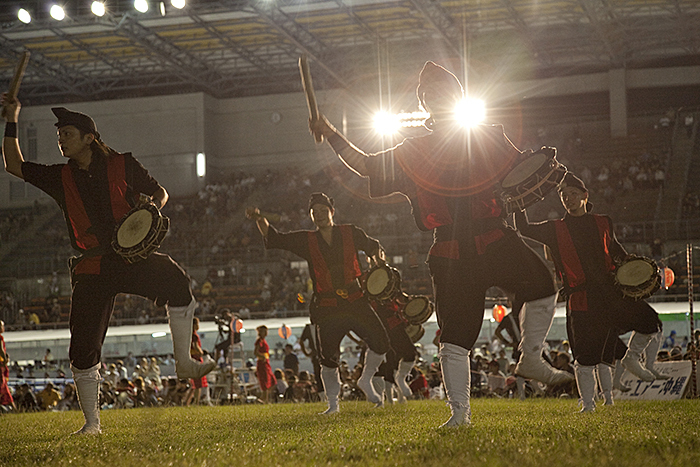 Ryukyu dance is mainly divided into three styles of “Classical dance”, originally performed in the royal court to welcome guests in the Ryukyu era, “Zo-odri” (popular dance) which appeared following the Ryukyu era and displays the feelings of the ordinary people through its lively choreography, and “Creative dance” which is modernized Ryukyu dance. “Eisa” is a type of a Nenbutsu Odori for the repose of our ancestors and is performed on the last day of the Bon Festival in Okinawa. 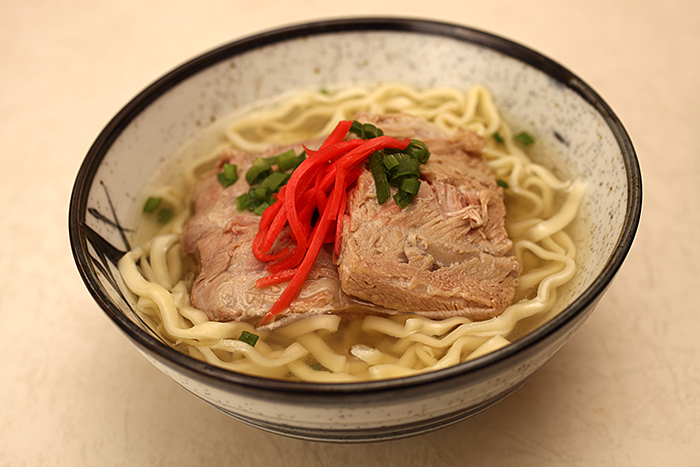 One of the most popular ingredients in Okinawan food is pork. For the pig, which is said to have been introduced from China to Okinawa, all parts are consumed from the head and tail to the organs. Pig’s feet, “Rafute”, or clear soup of pork tripe in the Okinawa dialect, and “Soki”, or spareribs in the Okinawa dialect, are famous. 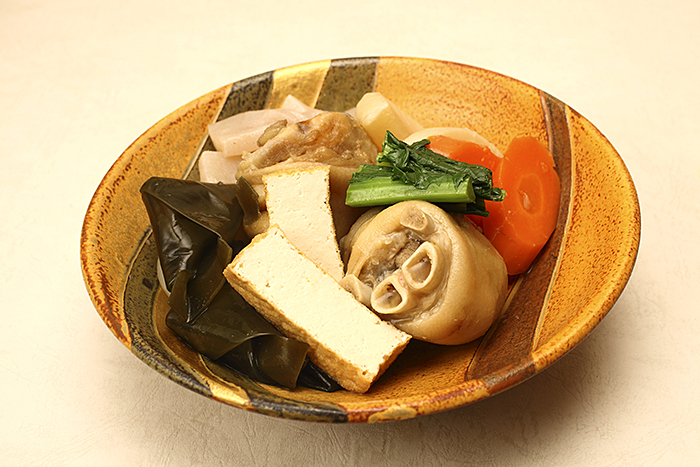 Okinawa’s original hard and large tofu “Shima-dofu” is also present in various dishes. Moreover, many vegetables including Goya (bitter melon) and Beni-imo (sweet potato), seaweeds such as Mozuku (seaweed), Umi-budo (sea grapes), and fish including Gurukun (Banana Fish) are also eaten. The oldest distilled spirit in Japan “Awamori” is popular for its rich and mild taste. 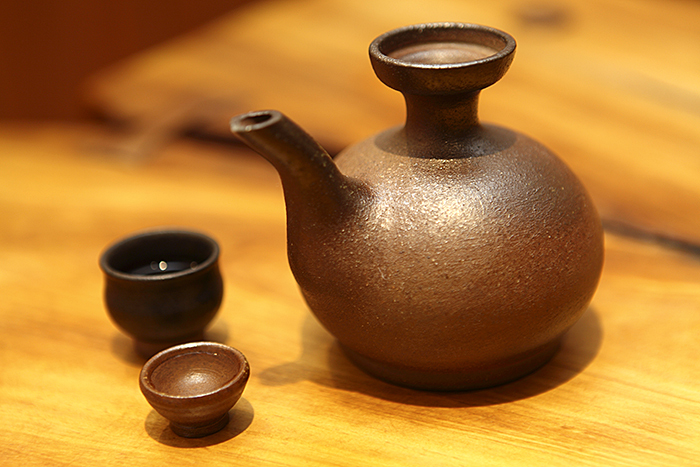 Since rice is the main raw material of awamori, it is categorized as rice shochu. However, there is a manufacturing difference between awamori and other rice shochu. While white koji mold is used for rice shochu in the second fermentation, black koji mold is used for the entire fermentation stage for awamori making. Another primary difference is that Thai rice (Indica type) is usually used as raw material for awamori. 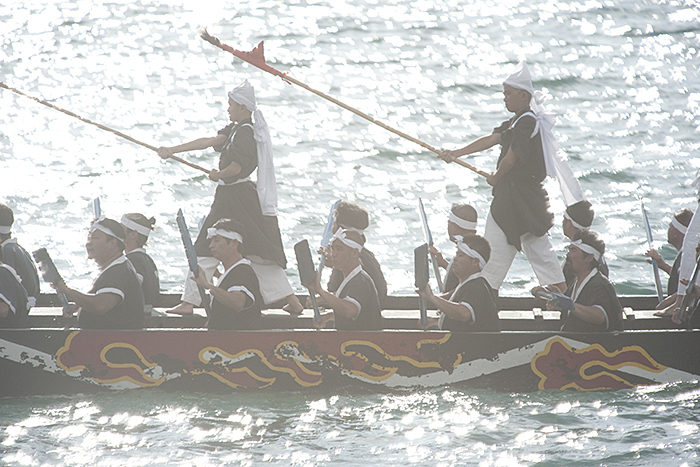 Haarii is traditional dragon boat race in Okinawa. 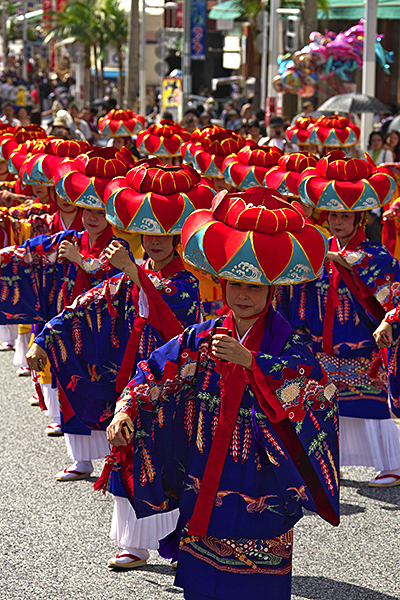 Most popular Haarii event; Naha Haarii is held during Japan’s Golden week (Holidays on May). 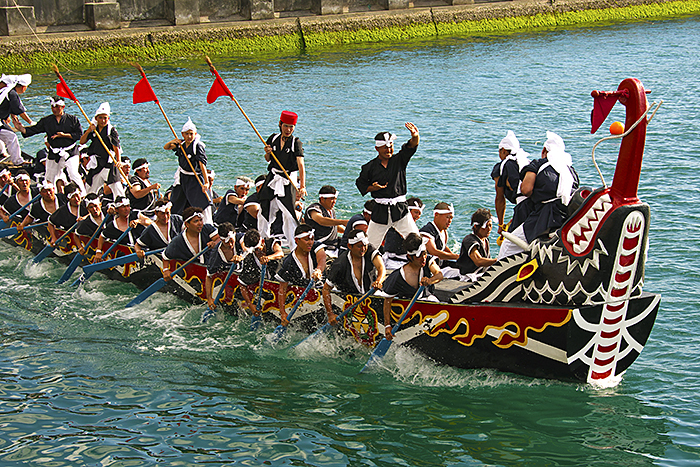 On the first and the third day of the festival, visitors have the opportunity to take a ride on a dragon boat. Tugs-of-war were held throughout the island as thanksgiving for an abundant harvest and a prayer for rain. 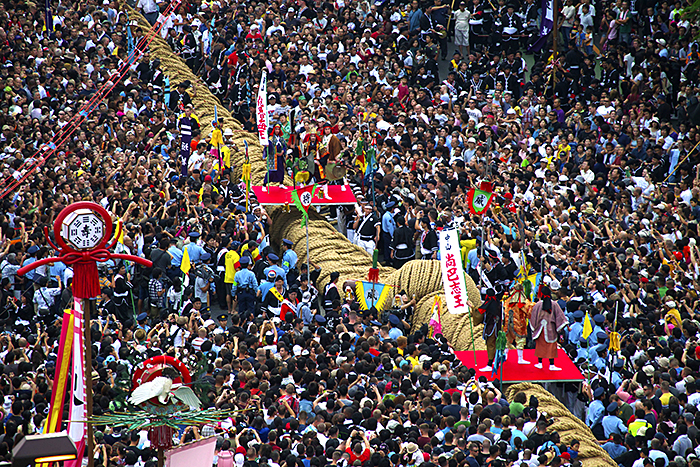 With a history of 560 years the Naha Great Tug-of-War, which developed as a national festivity of the Ryukyu Kingdom, is one of Naha’s major festivals and is eagerly anticipated every year. On the day of the festival all Naha gets excited, and a festive atmosphere pervades the city from the morning till evening. 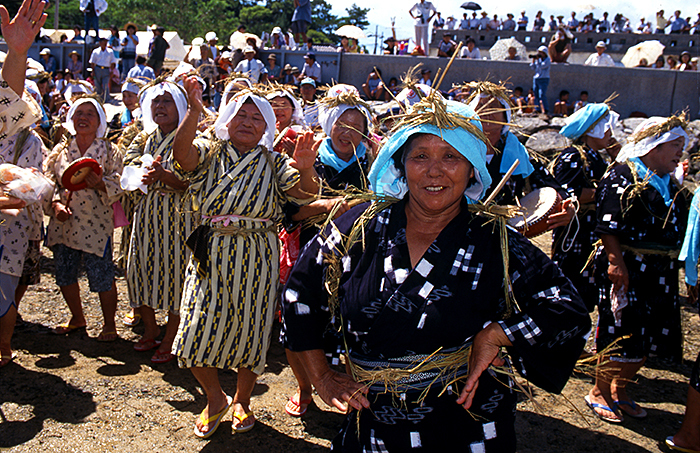 The dialect of Okinawa is believed to have split from primitive Japanese and evolved. In fact, the vestiges of languages used in Japan from around 7th to 8th century can be found in the Okinawa dialect. 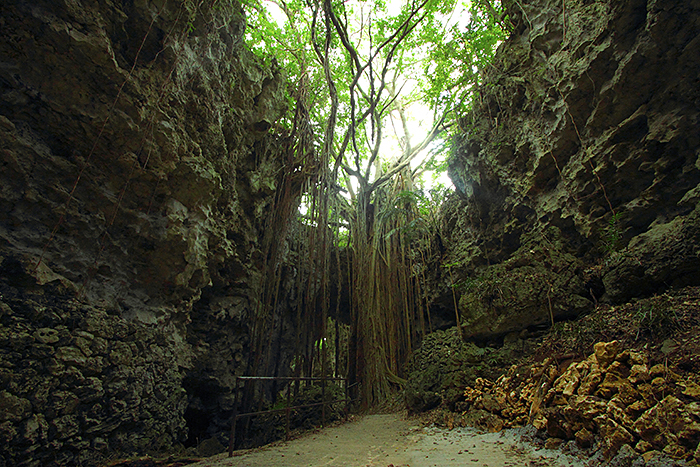 It is also said that you may have difficulty understanding people from other islands if you live on a different island and that local dialects differ by region. Well known Okinawan words are “Mensore = Welcome”, “Haisai = Hello” and so on. 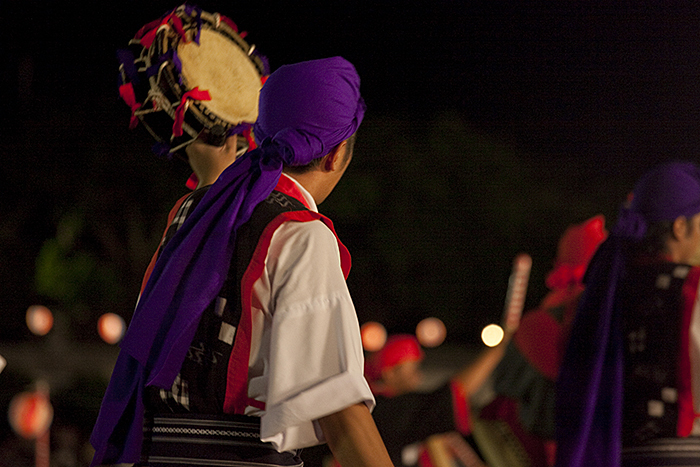 Customs formed by the mild climate and traditions prior to the Ryukyu Kingdom are truly diverse. For example, there are many festivals with various purposes from ancestor worship to praying for good harvests and bountiful catches. The custom of respecting one’s ancestors and caring for your ancestors and family is more rooted in Okinawa than elsewhere in Japan. Okinawa is also known for the extreme longevity of its citizens which they say results from Okinawa’s food culture and the influence of “Yuimaru” (meaning to help each other) spirit.